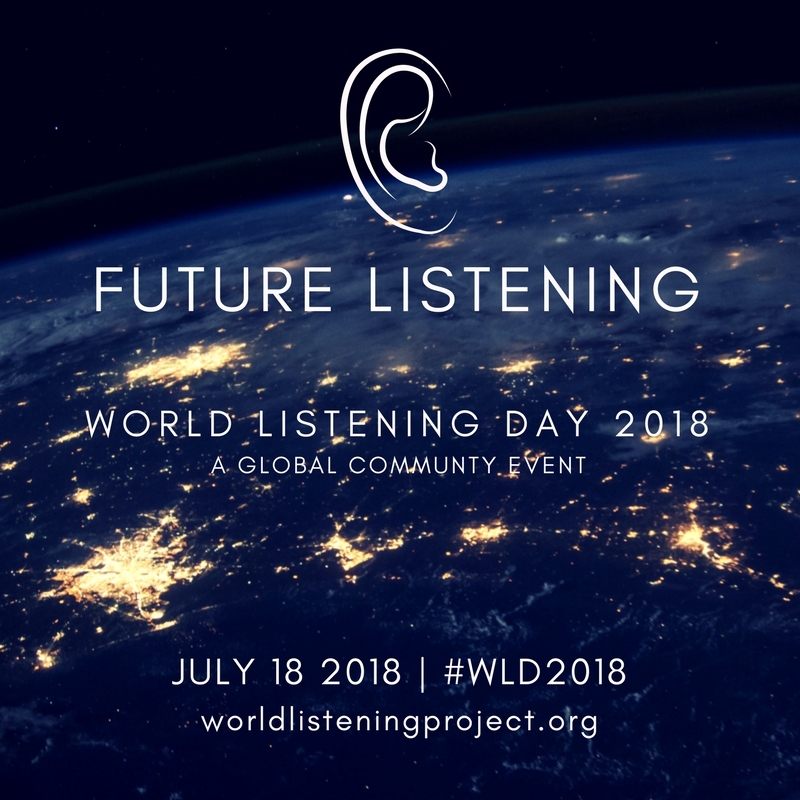 You are invited to participate in World Listening Day 2018, an annual global event held every July 18. This year’s theme is FUTURE LISTENING created by Filipino sound artist Teresa Barrozo. We invite the participants to imagine sonic possible worlds and the future of acoustic ecology through sound walks, field recordings, site-specific performances, and curated events and concerts on the theme. Participants can also participate in virtual worlds by listening and sharing endangered sounds and identifying sounds they want to render obsolete in their future. Future Listening ultimately aims to engage the world in opening its ears to the present and in acknowledging the immense capacity of the act of listening in shaping our collective future. Dozens of organizations and thousands of people from six continents have participated in World Listening Day since its inception in 2010. Help share and grow participation in this annual event by adding your information to our online form.